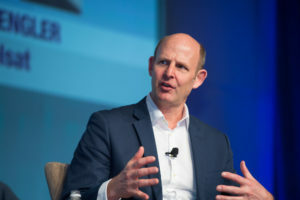 Rupert Pearce, Inmarsat’s CEO, said Nov. 8 that the company is taking steps to retain customers in its largest market segment, having identified broadband for social use among crews as the missing component of Inmarsat’s maritime service offering. 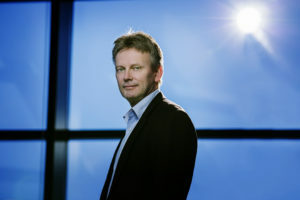 Morten Tengs, Telenor Satellite’s CEO, says direct-to-home (DTH) broadcasting is still the largest revenue generator for the operator, but Thor-7 now has “a substantial maritime datacom business,” as well as some land-based customers in the Middle East. 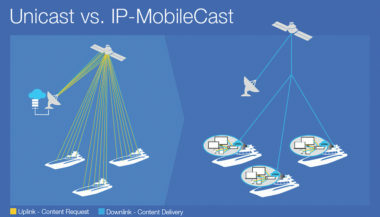 KVH Industries, a mobile satellite communications equipment and service provider, is preparing to offer broadband in early 2018 to commercial and private maritime customers through satellite fleet operator Intelsat’s EpicNG constellation. 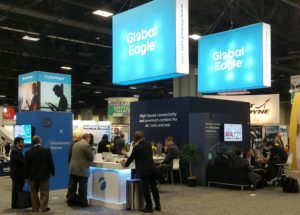 Content and satellite-connectivity provider Global Eagle Entertainment shot down swirling concerns that its recent changes in executive leadership and concurrent overdue financial statements were the result of any misbehavior on the company’s part. 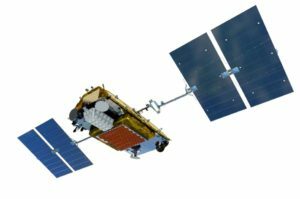 Maritime satellite services and hardware provider KVH is kicking off an upgrade to mix high-throughput capacity from geostationary and low Earth orbit satellites into its network, CEO Martin Kits van Heyningen said Jan. 10. 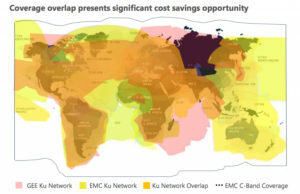 The fixed-cost nature of buying satellite capacity argues so heavily for fewer and larger service providers that some see consolidation as inevitable. 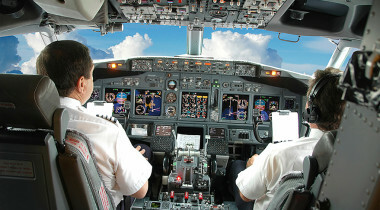 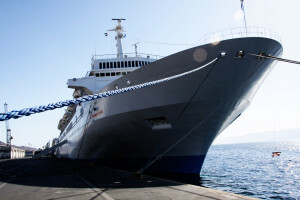 The Spanish maritime satellite communications provider said it would deploy the capacity on its existing fleet of more than 250 ships and would explore ways to work with Panasonic in aeronautical broadband delivery as well. 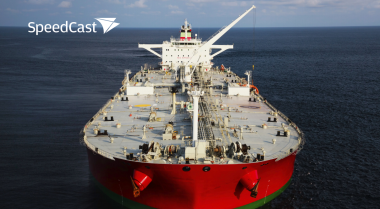 At a time when other maritime satcom providers are lamenting the decline in offshore energy markets and tighter purse strings among the big government customers — especially the U.S. government — SpeedCast is predicting a spurt of growth among energy customers based on its recent acquisitions. 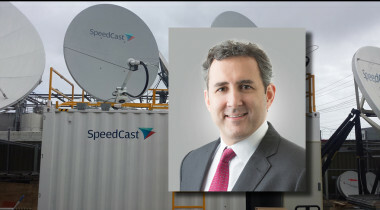 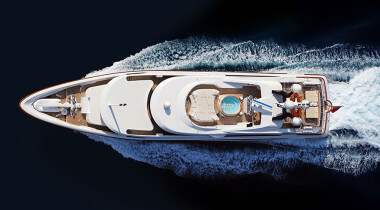 Mobile satellite communications services provider SpeedCast International on July 28 said it is purchasing SAIT Communications of Greece and Cyprus, a maritime communications provider with a 2,500-ship customer base. 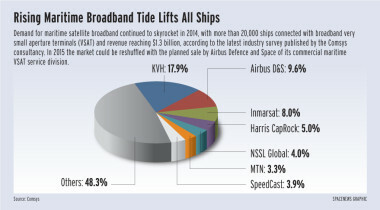 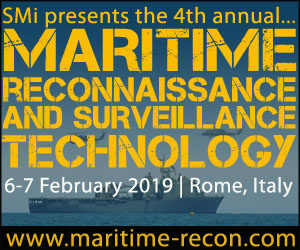 The maritime satellite broadband market continued its sharp upward march in 2014, surpassing 20,000 ships with installed terminals despite the headwind of lower crude-oil prices and generating about $1.3 billion in revenue. 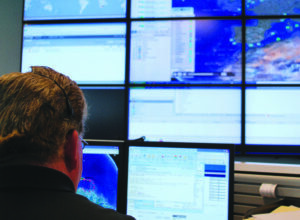 Harris CapRock has put together a new maritime service that company officials say will keep users connected by automatically switching them to the best available network, satellite or terrestrial, at any given location.